i'm still waiting till now on..
but i heard that it would come in early 2011..
and now?? i think july is not early 2011??? Re: Can we have it all?? gooooood!!! I'm sooo sick and tired of wating for it all :-P He doesn't even care to write or say something to us, it's not like he's still waiting for a channel to pick up locke and key?! exactly...why did he changed so much? btw..what do you mean he changed?? he's ignoring his fans...maybe it's too much said ignoring but he barely says anything to us, nothing about the album nothing about anything at all. I get what you mean. I think since he's with that ... girl Eden, he's caring more about his body. It seems like he's doing way more sports than before and currently he's doing this Juice cleanse... which I think is totally unnecessary.. But he also knows that the world we live in is superficial. Everyone is judging by the look and barely by the character/personality. We all know he doesn't have this "perfect" body... and if you watch the videos of "Club Hop" where he performs live everyone is saying "whoa he gained so much weight" or "he's fat"... I think that's totally unfair. On the one hand I find it great that he has changed that much and cares more about his body, on the other I find it sad that he's also now one of the celebrities that care about what people say and tries to be perfect. NikajMac wrote: I get what you mean. I think since he's with that ... girl Eden, he's caring more about his body. It seems like he's doing way more sports than before and currently he's doing this Juice cleanse... which I think is totally unnecessary.. But he also knows that the world we live in is superficial. Everyone is judging by the look and barely by the character/personality. i loved him the way he was...to me, he was perfect, he doesn't need all that sport...okay if he wants to be in a better shape i agree but he has also other things to take care of, like his PROFESSIONAL life, not only his body. how old is she actually?? Please keep in mind that while we all like to act/think/believe that we truly know Jesse, we don't. Therefore, we don't know if it's Eden that is getting him into all this new activities or not. He could just be wanting to get into better shape knowing that his career is going to be hectic again soon, and that he'll be performing more (hopefully!) and want to make sure he is in the best shape, with cardio and strength, possible for it to be easier to keep up in rehearsals. He definitely wouldn't be the first performer to start hitting the gym more often when they know that they are going to be getting ready for a new tour or more active career after having been taking it relatively easy for a while. And about the juice cleanse/detox... Well, doing one is for more than just losing a few pounds. I agree, Jesse looks great and doesn't really need to lose any weight. But a juice cleanse, or any cleanse or detox, is firstly done to clean out your digestive system. And as nasty as this might sound, every once and a while, your colon, intestines, tract needs to just be flushed out. And in doing so, you'll honestly feel better and have more energy because you flushed out a lot of toxins and 'bad' unnecessary junk. And as for Eden, I can get being jealous, because who in the forum wouldn't want a change to get to date Jesse. But I stand by what I said when it was first released they were together, as long as Jesse is happy, I'm happy for him. And I can respect him for wanting to take a healthier outlook on life, and if she's the cause for that, then get, if not, then it's still great. And yes, she may be older than him, I believe someone said she was 35-36 before, but there are more than enough examples of where age gaps don't matter, in both Hollywood and my own personal life. Remember, you never truly get to choose who you are attracted to or fall in love with. another thing is that although Jesse is most likely working really hard on the album, we don't even know it because he almost never mentions it! even though his juice cleanse thing is interesting, i would much rather hear about the progress of the album... maybe i'm just being a greedy fan, but i feel extremely distant from Jesse. i barely know anything about what's going on anymore. i'm not claiming to know every single thing about his life and career, but fans knew more before because he actually talked about it. I know exactly how you feel and why you think that. I'm the same way right now. But for me, part of me just feels like it's part of growing up; to not be such an 'obsessed' fan anymore. But it is very annoying that he doesn't keep us posted like he used to or really talk about what he's doing and working on career wise anymore. Like, no one even knew that Wanted was available until we just woke up one morning and it was on the facebook page. And you have no reason to feel ashamed for thinking or feeling the way you are. It's perfectly normal, and since I think and feel the same way from time to time, I know you're not the only one. we all feel a little bad when we say something not that good about him...but it's ok. life isn't always that good(like eden seems to think...good for her). as fans we should be able to agree or disagree with what our idol does...i mean we don't have to defend him everytime, we have the right to our opinions and that doesn't make us less fans. that been said...i don't agree with his relationship with eden(not at all). to me it seems like he's wasting his youth 'cause he can't have a full life with her(for example, she said one marriage for her was enough...i'm sure jesse would want to get married one day). as good as that detox would be for anyone i think it's a little exagerate...lately he did too much healthy things and i don't mean that he shouldn't but what's too much is too much. he listens to her too much if i can put it this way. now a positive thing(finally): i said in a previous post that he doesn't talk to his fans anymore (and as usual, whenever i get mad of him for something he does something adorable making me feel bad for my words). i am glad that now he finally tweets more and actually from a studio(i'm glad we have proofs that he's actually working and not just taking that lady on vacations and fancy restaurants). i hope that from now on he will be paying as much attention to us as he does for his lady. and i would like him and her to keep their relationship a little more private(it's great that they're happy but it can get a little frustrating for us, and not only because we get jealous). personal and private life should never be mixed, he used to think that. EveryoneLovesMe wrote: we all feel a little bad when we say something not that good about him...but it's ok. life isn't always that good(like eden seems to think...good for her). and now we just have to wait for have it all..thanks for the good news, i think some good news saying that jesse's back to the studio makin us calm!! hope it will come out soon!! I wonder what we all gonna be like when Jesse gets married?? Lol!! Anyway, I understand all of you. I get that we want more Jesse. I try not to complian. Now I've seen some changes in Jesse. Whether they are to do with his girlfriend or not I don't know. Maybe Jesse wants to try different things. I see he has changed his style of clothing. He does dress a bit like her. Some people think he's gone into hiding. Lol!! Well I do wish he would come out more. I miss seeing new pictures of Jesse. Now what's he deal with 'Have It All' I really wish Jesse would tweet something about that. 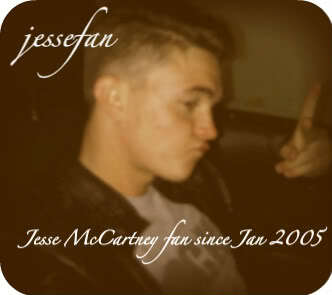 jessefan wrote: I wonder what we all gonna be like when Jesse gets married?? Lol!! well i try not to think about that day he will get married, i'm probably gonna cry, especially if he marries an old lady but i would still love him and his music. it's frustrating to see how other celebrities are everywhere: videos, movies, interviews, all sort of events, and jesse...well nothing. it's not fair, the fans of the other celebrities get to see their idols all the time,they stay in contact with their work and all we get are news about what restaurants he takes that lady and what cleanse makes him to do. it's great to see him tweeting from a studio, glad to see him working again but it would be nice he would tell us something about his album...not a release date but ANYTHING, like how many songs he will be adding, what they're about, give us some lyrics, i don't know...SOMETHING. Wow I surely don't have time to worry about his girl or that juice cleanse. Seriously good music is everything. As long as Jesse has good music, I am here. That's all I need to know.